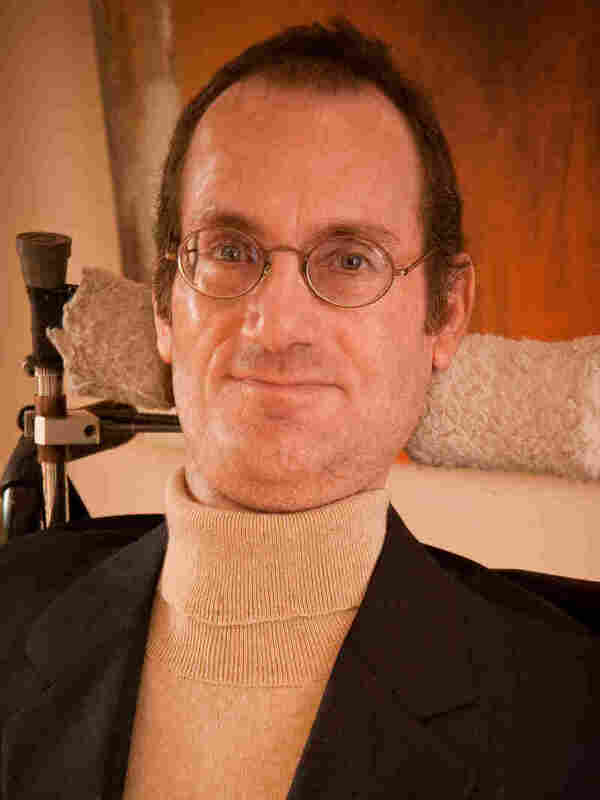 Americans With Disabilities Act: Looking Back On 20 Years Of Opportunity When commentator Ben Mattlin was growing up, it was legal to discriminate against people like him. Born with spinal muscular atrophy, he's always used a wheelchair. Monday marks the 20th anniversary of the Americans with Disabilities Act, which he says transformed his life. For another perspective on the 20th anniversary of the ADA check out what commentator Deborah Peters Goessling has to say about the difference one inch can make. Ben Mattlin lives in Los Angeles, where he's working on a memoir. He blogs at benmattlin.blogspot.com. When I was younger, it was legal to discriminate against people like me. I was born with spinal muscular atrophy. I've always used a wheelchair, and my hands are too weak to scratch an itch. My parents said I could be anything I wanted when I grew up. It wasn't quite true. Back in the 1960s and '70s, my parents struggled to find a decent school willing to take a handicapped kid. I assumed the problem was I wasn't smart enough. In 1980, I entered Harvard. It was the year Harvard had to become accessible, under a forerunner of the Americans with Disabilities Act, the Rehabilitation Act of 1973. The ancient cobblestone campus proved challenging. But what really bothered me was the administration's refusal to grant me roommates. I might impair their experience, one dean explained. Never mind how this segregation would impact mine. The sting of discrimination worsened after graduation. No one would hire me. Once, an editor invited me to interview for a staff opening, but upon seeing me, she asked, "How would you make photocopies? I mean, you'd be here to help us, not for us to help you." Then, on July 26, 1990, when I was 27, the ADA became law. It didn't get me a job. But it addressed the differences between essential and nonessential job tasks. It identified a "reasonable accommodation" from an "undue hardship" -- a critical distinction for employers and public places alike. If I encountered a restaurant or store with a 6-inch threshold and no ramp, I had constructive language to use, beyond cursing or crying. Most of all, by recognizing the injustices millions of us were confronting, it provided not just legal recourse, but validation and hope. Now, the ADA's impact is everywhere: wheelchair lifts on city buses, signs in Braille, sign-language interpreters. Many young disabled people are growing up with a marvelous sense of belonging, entitlement and pride I never had. Yes, there is still a long way to go. Yet in redefining the terms of disability, the ADA made us impossible to ignore. So now people should understand we're just part of the human landscape, and we're here to stay.